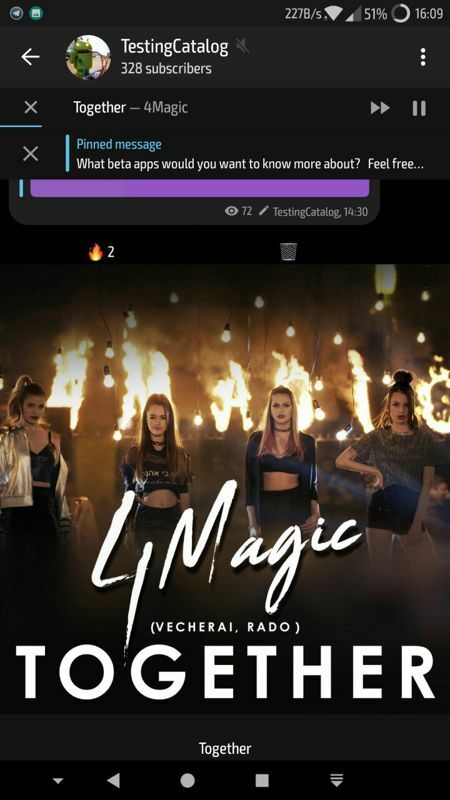 The Telegram X app for Android has a very unique design and set of features. In this regard, we are going to look at the gestures incorporated for navigating throughout the app, albeit some of them are reminiscent of IOS. This year, if you do not know, the trend is all about gesture-based navigation because every OEM, including Google, has adopted some variant of it in their software (Android Pie too). They are sort of meant to make your life easier for all huge-screen phone lovers. This is why we made a list of all of the gestures in Telegram X, in categories depending on the part of the UI that they are functional in. Long press on a chat title to activate the chat preview function. This one is kind of similar to 3D touch on IOS and the way it works. The preview window has shortcuts like mute/unmute, pin/unpin, mark as read and delete too. Long press on a profile picture to reorder your pinned chats. Swipe right to open the sidebar/side menu. Long press on a profile picture to preview it. Swipe on a message from right to left to reply/share. You can select a default behavior from Settings - Interface - Swipe actions. Swipe up from the camera or the attachments icon to enter the camera interface. Hold on the video/audio record button in the far right corner at the bottom to start recording, and slide left to cancel. Keep in mind that tapping switches between video and audio mode. Swipe up or down on a picture, video, or a GIF to exit full-screen mode. 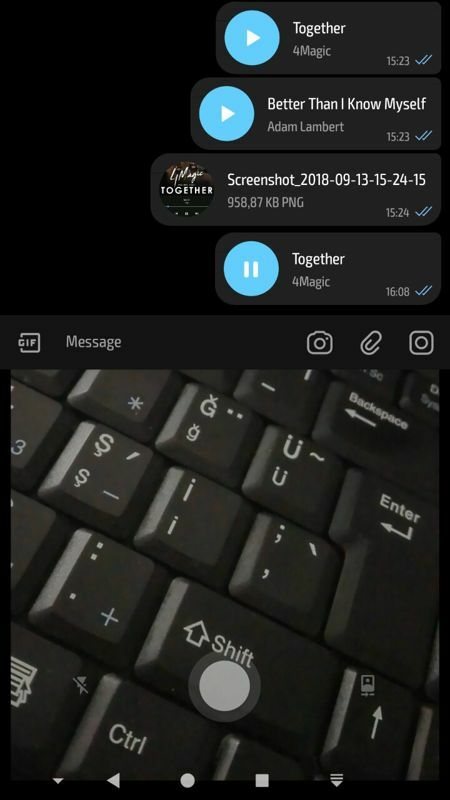 Long press on a media file/GIF to preview/delete/select/share and see in chat. This one works only in the chat settings/info page and only in MEDIA and GIFs tabs. Hold on a chat name/photo to preview. Swipe down to minimize the now playing pop-up. Long press to reorder songs in the queue. Swipe right to go back. This is very IOS-like, but I like it a lot. You can long-press on many things like links, media, messages and so on to see more actions available. To summarize, gestures are a big hit since 2017 and an important part of Telegram X. I would like to see even more additions because gesture-based navigation is indeed more intuitive and easier to use on large phones. Tell us your thoughts and if you find a gesture that we are missing from the list, please, go ahead and tip us. 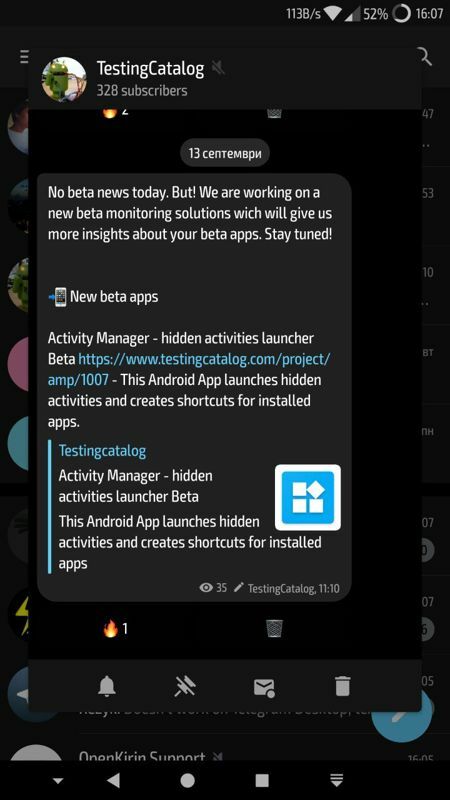 Follow our Telegram channel @tgtester to keep up with all latest updates and news around Telegram app for Android.